The Tissot Bridgeport Lepine Mechanical looks back to Tissot's prestigious watchmaking past with elaborate design particulars. The retro style of the dial on the classic pocket watch and distinguished chain is decorated with Arabic numerals and a small counter at 6 o' clock. Catching the eye are the sophisticated deep blue hands, a recognized symbol of quality with luxury watchmakers. The vivid shade can only be achieved after an intricate heating method. 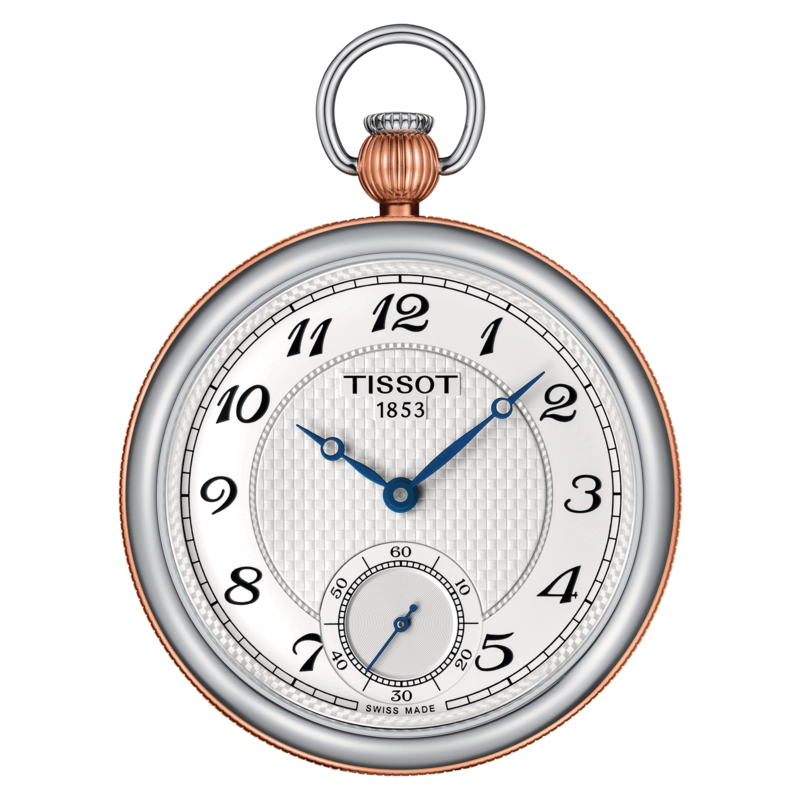 Their appearance here demonstrates the true quality and technical skill Tissot is admired for. Lovers of this fine design will be pleased there is no cover on this watch, meaning there is no impediment when admiring these handsome touches.